Main product was £729.99 (from 19/09/2018 to 23/01/2019), now £695.00. 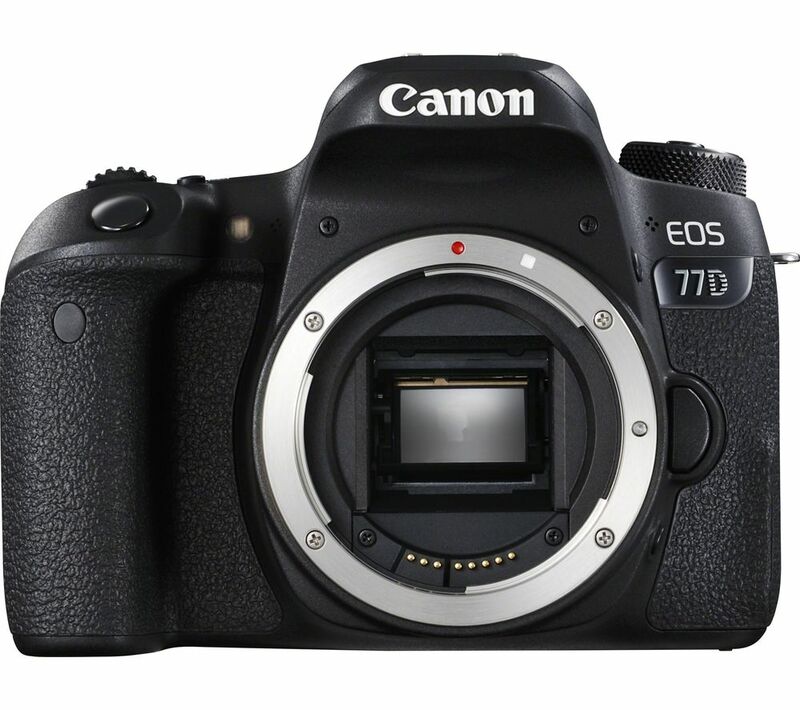 Featuring a host of next-generation technology, the Canon EOS 77D camera offers you all the options you need to explore new ways of shooting stunning images. The DIGIC 7 processor delivers fast shooting – up to 14 x faster than the previous generation processor – making it easier to capture the optimum shot with burst mode. Manual controls let you adjust the settings without taking the camera away from your eye. 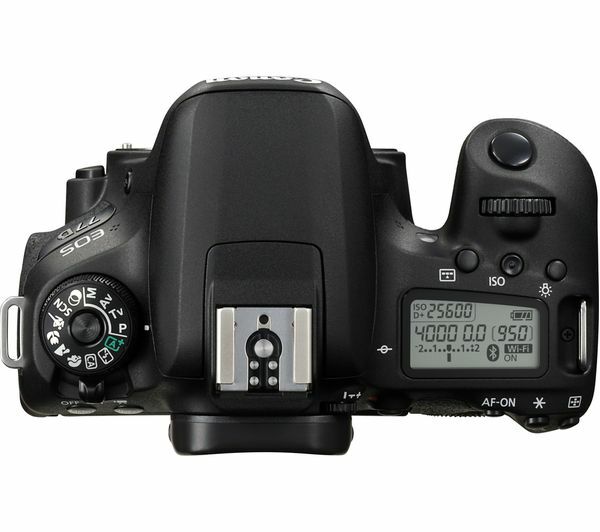 This means that you can stay focused on capturing the perfect image at all times. 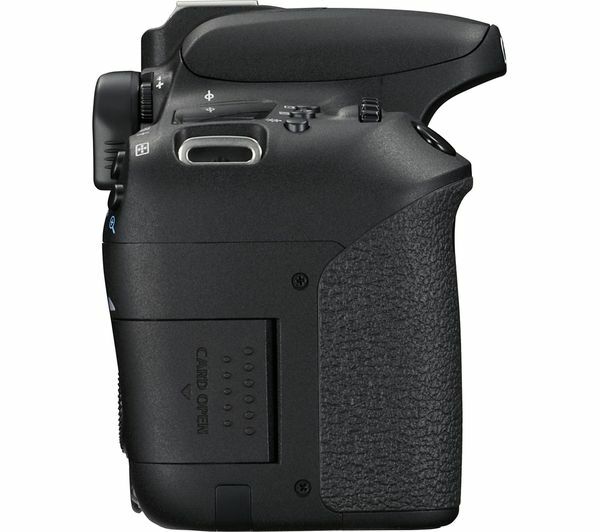 For ease of control, the 77D features professional-style controls, including an LCD on the camera's top plate and a lockable quick control dial for easily adjusting exposure. You can quickly select focus points with the vari-angle Live View touchscreen. Featuring the world's fastest Live View AF, the EOS 77D delivers pin-sharp results with every shot. Whether you are shooting still images or Full HD video footage, you'll have all the control you need to capture creative results which are certain to impress. The 45-point all-cross-type AF system and RGB+IR metering system work together for improved accuracy and subject recognition, even in low light. 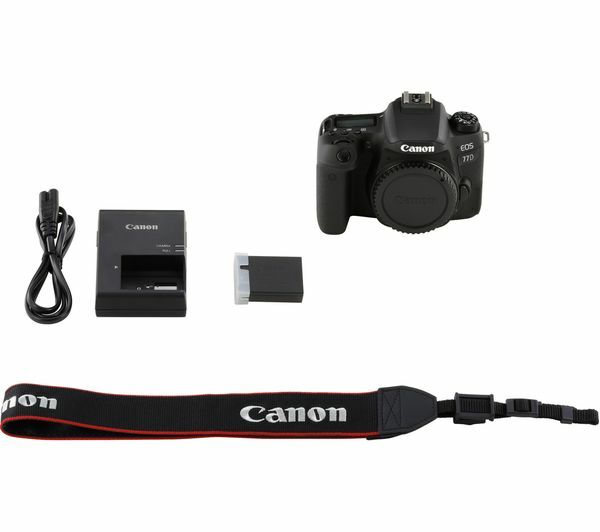 With built-in WiFi, Bluetooth and NFC technology, the EOS 77D makes it easy to stay connected. You can share your images and movies on social networks with ease, allowing the world to share your imagination. 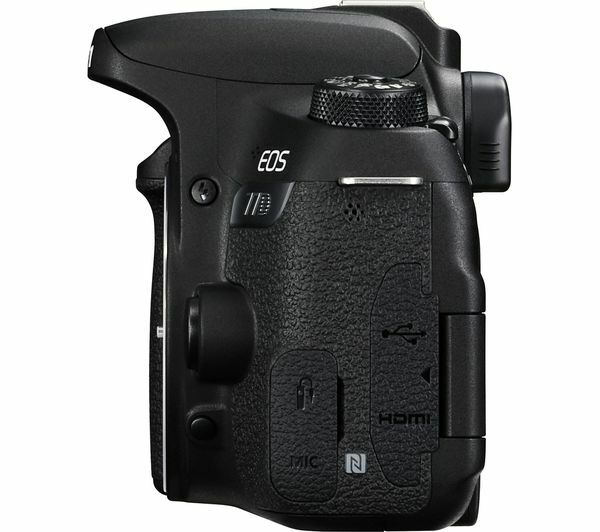 When shooting high definition videos and capturing high resolution images, it's important to have the right memory card. A high performance memory card will help you get the best out of your photography, ensuring a high continuous shooting speed and capturing high-quality data.